For 2017 I will be racing for Drops Cycling team- my second year with the team. 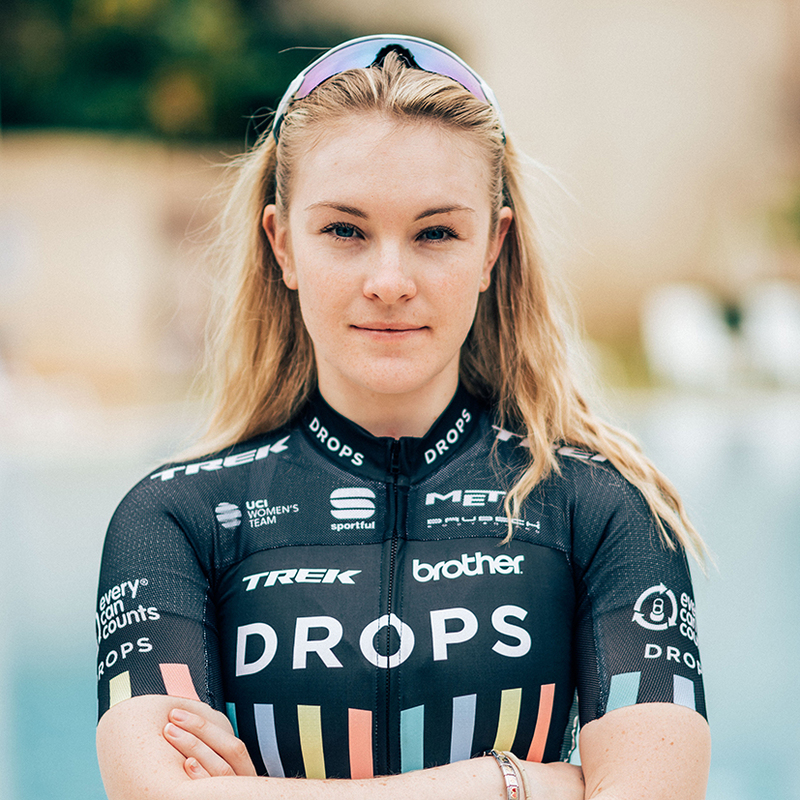 Drops is a UK based womens UCI team. The team is run by the ever enthusiastic Bob and Tom Varney who set up the team last year, with the goal of giving British women the opportunity to race abroad and exposure to some of the best races in the world. The team has a great race program, allowing me to compete in some of the toughest and most prestigious races in the world, but also develop in the smaller, .2 and national level races. My race program is a mixture of one day races and stage races. I have a heavy classics based program in the start of the year and begin racing on the 26th February with Omloop van het Hageland in Belgium. For 2017 I will be riding a Trek Emonda SLR in custom paint Miami Green. Our kit is provided by Sportful and we ride MET helmets. When not cycling I love to bake. Although baking cakes is not the best hobby to have alongside pursuing a professional cycling career, I enjoy baking for others. I am also attempting to learn Catalan, the main language here in Girona, and taking an online class that allows me to learn the language when I am away racing.